Many lamp burners, particularly the Kosmos type, are referred to in 'Lines', (abbreviated to three ticks ''' as opposed to the two ticks used to denote inches), and is a measurement of size. The meaning of the 'Line', corrupted from the French word 'Ligne', comes from the measurements used by watchmakers in times gone by. 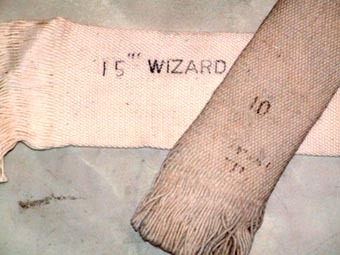 A 'Ligne' was 1/144 of the Paris Foot, allegedly the length of King Charlemagnes foot..! The first oil lamp wicks were tubular and the brightness of the lamp depended on the amount of oil it could burn efficiently. This in turn depended on the diameter and thickness of the wick. To exactly measure a tubular wick the lamp makers flattened the tube and measured across the inside diameter in the smallest measurement they had, the 'Ligne'. This measurement is the internal diameter of the wick because the central tube of a burner is important in fitting a round wick, or flat wick, made round. If the wick is too tight it will not wind properly, too loose and the wick burns down the wick tube giving an uncontrollable, uneven flame. Originally manufacturers would develop slight variations in wick 'Ligne' and thickness to get the best performance from their own lamp. Many of these exclusive wicks are obsolete now and we have to use the nearest we can find to keep lamps 'burning bright'. This can lead to confusion as two wicks of the same outside width, (folded flat), can be different 'Lignes' when measured internally because of the thickness of the wick..! 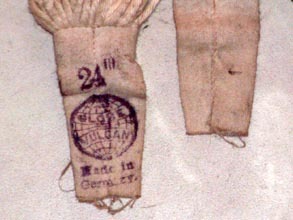 A tail from a 24''' Globe Vulcan wick showing the 24''' marking, trade mark and German manufacture. Two flat wicks, a 10''' and 15''' Wizard. 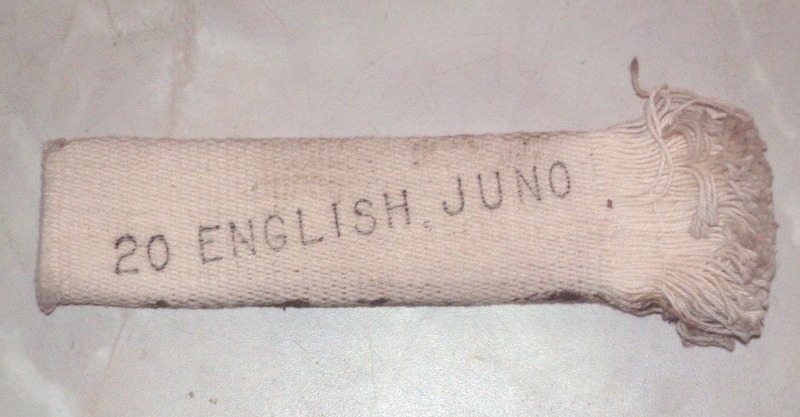 Though the 10''' measures 2 3/16 inches flat it, is 1 1/16 inch when folded into a tube. This makes the internal width 7/8 inch or 10 'Ligne'.